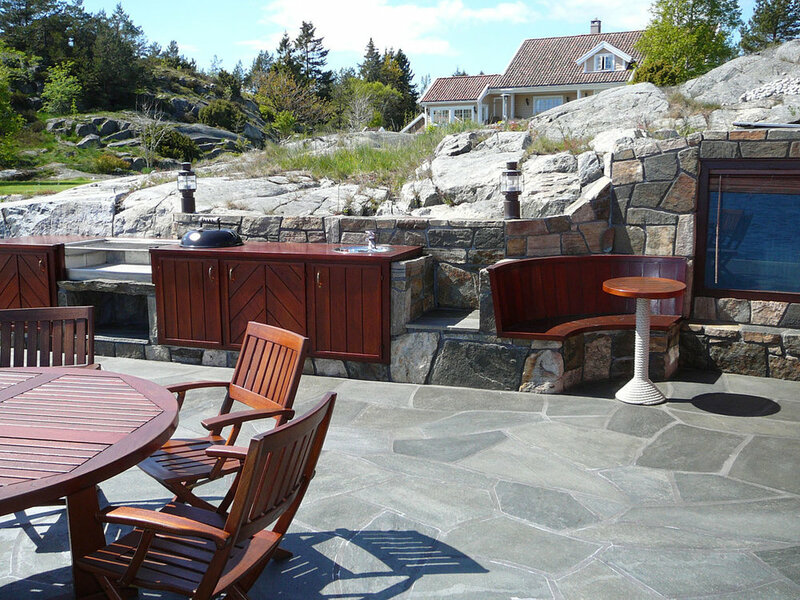 A recent trend has been the construction of permanent outdoor kitchens. They must be able to withstand the elements, have all the necessary equipment for cooking and grilling, and preferably have a supply of clean water. We created a gorgeous solution for our client by building fixtures into the landscape itself, with stone and wood. Bringing the landscape into this kitchen in a natural way.